Here is a beautiful passage on the ministry of the Guardian Angels from Richard of St Victor’s Commentary on the Song of Songs (Cap 4 PL 196, 417-418). Richard of St Victor was born at an unknown date during the 12th Century, probably in an area near Scotland. We know nothing about his early life and education. He entered the Abbey of St Victor (outside Paris) around the middle of the twelfth century, becoming a Subprior in 1153 and then Prior in 1161. Richard is known as a leading spiritual guide during the third quarter of the twelfth century. He is one of the first writers to create a systematic work of the instruction of contemplative practice for others to follow for their own self-leading. Using Biblical images, Richard explained ideas about the development and psychological process of spiritual life, discipline and love in order to deepen our relationship with God. He remained prior at the Abbey of St Victor until his death on March 10, 1173. God defends his chosen ones in the Church, in troubled times he is himself their shield, and through the watchful care of angels he protects them. 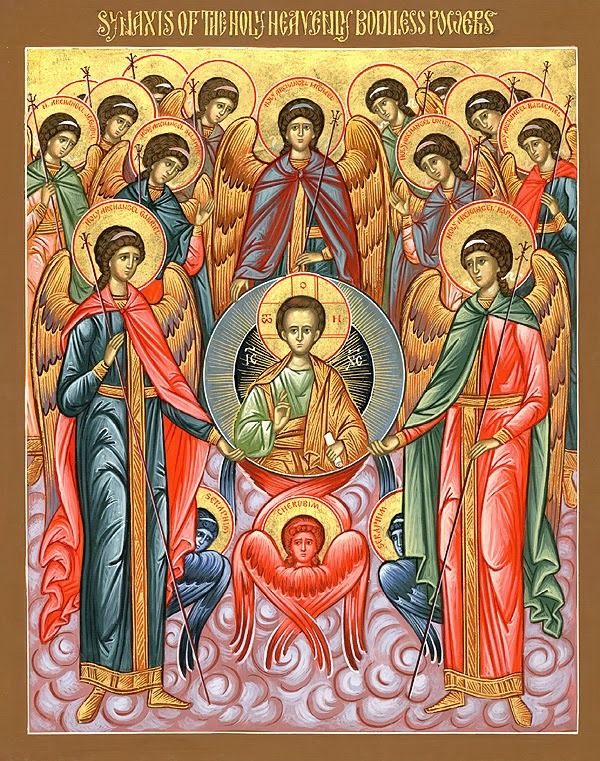 He presents the angels to his own as servants and messengers, to further their salvation, to report their needs, and to carry their prayers. Even though he himself sees and understands the situation of each person, he still wishes to be told of it by his angels, in order to make known and show more clearly his love and consideration for humankind by his use of such worthy and beloved messengers. Do we realize how much they desire our salvation and long to have us as their companions? Who can have any idea of the love and care with which they keep watch over those entrusted to them; how they stir up the listless and urge to greater zeal the fervent and attentive; how they make excuses for sins so as to bring only good deeds to God’s notice? And when they see a soul burning with great desire and longing for God with pure intention, do we realize how they love that soul, rejoice with it, visit it, and hasten to and fro between that soul and God? 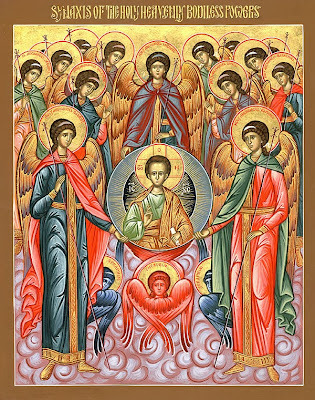 The angels are friends of the Bridegroom, so they listen to the soul’s words, and make them known to the Bridegroom. The soul’s words are its desires, which the friends, that is the angels, listen to and delight in. They make them known, and they invite the soul to come; they console it, and advise it to seek and knock, because anyone who seeks finds, and to anyone who knocks the door is opened. Meanwhile, until the Bridegroom comes, they frequently visit such a fervent soul, and by an increase of grace prepare it more fully for his arrival. They draw its thoughts toward a perception of their presence, and an awareness of their friend¬ship, so that through this knowledge it may advance to divine knowledge. Thus the soul searching for God is found by the blessed angels, and after going round the city in its quest, deserves to be approached by them. It sees them coming to meet it and is taken in charge by them. In fact, they come before the Bridegroom, manifesting their presence and revealing themselves, for being angels of light they accompany the Light, and the soul, flooded with light, is both illuminated and moved, so that it perceives their coming and is conscious of their presence.